You’re concerned; your husband is drinking too much or using drugs. You think he might be addicted. He needs treatment, and drug addiction treatment begins with detox. Whether outpatient or inpatient, the doctor may recommend that your husband will have to undergo a drug detox process to flush out the harmful substances from his system. 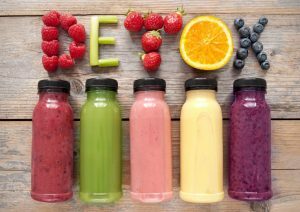 While it may not seem fair, the detox process can be a very difficult time for your husband so he needs all your support. With that said, it’s important for you to understand what your husband will go through under the detox process. And that’s what we are going to discuss in this article. Interview and assessment – The first step is the interview process. You fill out some forms that will detail information about yourself. The intake manager will ask you some questions, and the important thing is to be honest even if the answers can be embarrassing. Misrepresenting yourself can result in a wrong detox procedure. Aside from answering questions, you will also undergo some tests to understand how many drugs are in your system. Stabilization – This is where the facility will try to ease out the drugs from your system. Withdrawal can be expected, so the doctor and staff will make sure the transition will be as painless as possible. This is also the reason why it’s recommended that the process, even natural drug detox, should be under the supervision of licensed personnel. Treatment – After the drugs have been flushed out of your husband’s system and once the doctors have evaluated that he’s already stable, the hard part comes in. Again, the treatment program may vary but in general terms, your husband will undergo post-detox care and a series of therapy sessions to limit the possibility of relapse. If your husband has been drinking alcohol or using drugs for a long time, his body will develop a dependence on the substance. Their brains actually undergo a transformation over time for self-survival because the alien substance introduced into the body would have been very damaging otherwise. Studies have isolated the thalamus and the brain stem, as well as the reward neurons in the brain, as having a direct connection to this dependence. As your husband becomes more addicted, his system develops a tolerance as well. That means he needs more dosage to achieve the same high when he was just starting. So, when he stops ingesting, the shock to his system is so great that he develops physical and behavioral symptoms, which can range from discomfort to actual pain depending on each individual’s cases. This condition is called withdrawal. Alcohol withdrawal is actually quite dangerous – even more so compared to other drugs – because they can trigger heart attacks, hallucinations, and strokes during the withdrawal. Now that you have a general idea of what to expect in the drug detox program, you can better be prepared when some of the symptoms will kick in. However, if your husband is really determined, then you both have won half the battle.